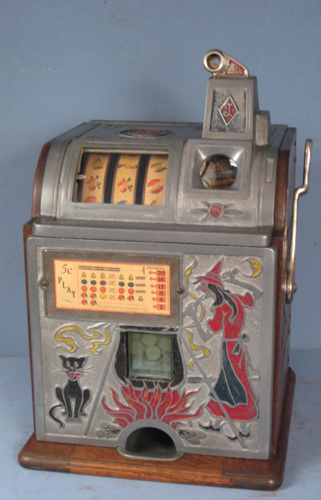 Pick any day of the week and odds are very good that you will find at least one or two fake slots being sold on eBay. Go to http://www.IBuyOldSlots.com/ReproArticle.html to get advice on how to spot these frauds. Feel free to comment here if you think I missed anything in the article.